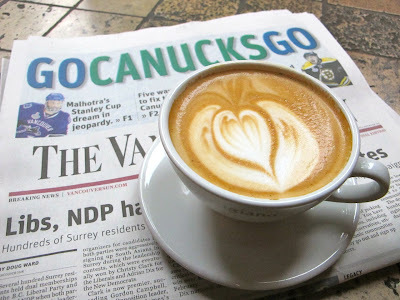 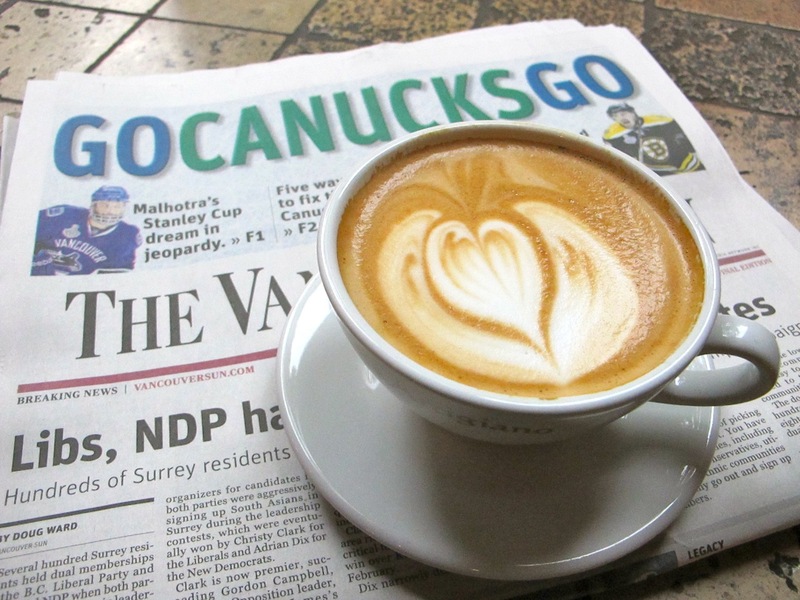 My morning news and latte with a heart at Caffe Artigiano on West Cordova. 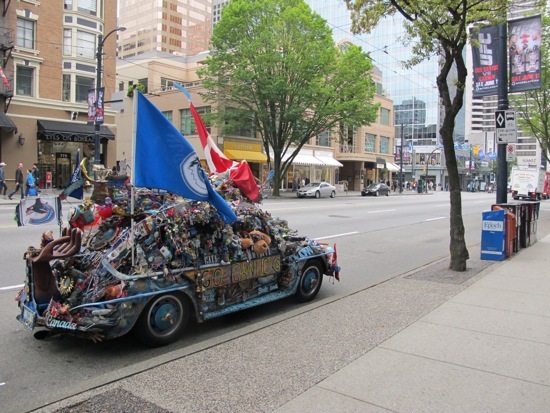 A "Canuckmobile" was parked in front of CTV Studios in downtown Vancouver. 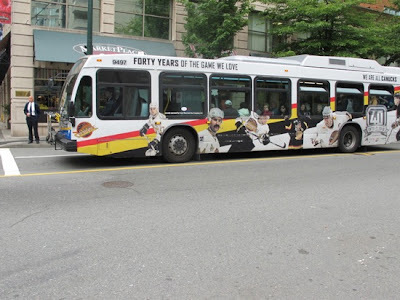 Even public transit in is into the game; a TransLink bus celebrates hockey. 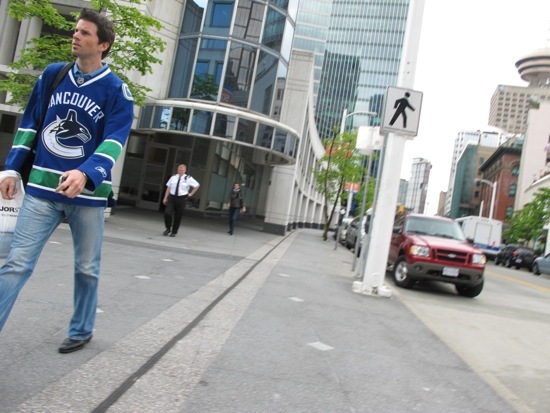 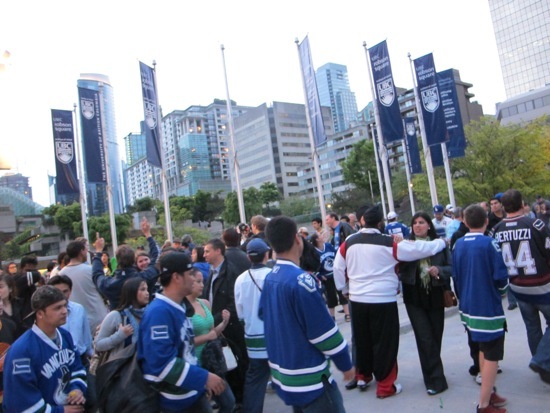 Friday morning of Game 5 and Vancouverites are proudly wearing their blue. 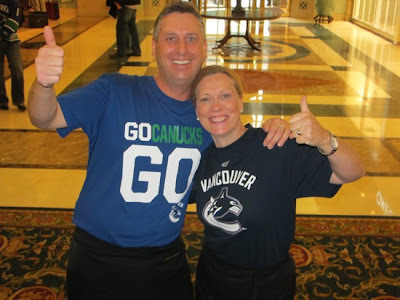 Wayne Bartlett and Grace Cullen of The Fairmont Hotel Vancouver's 900 West. 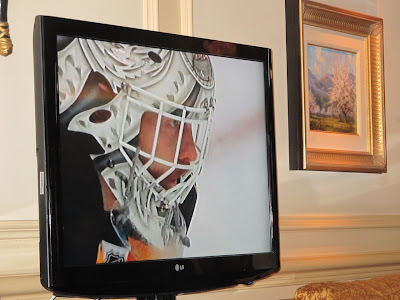 Fun watching the game at Hotel Vancouver. 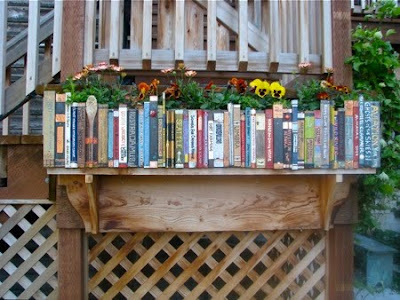 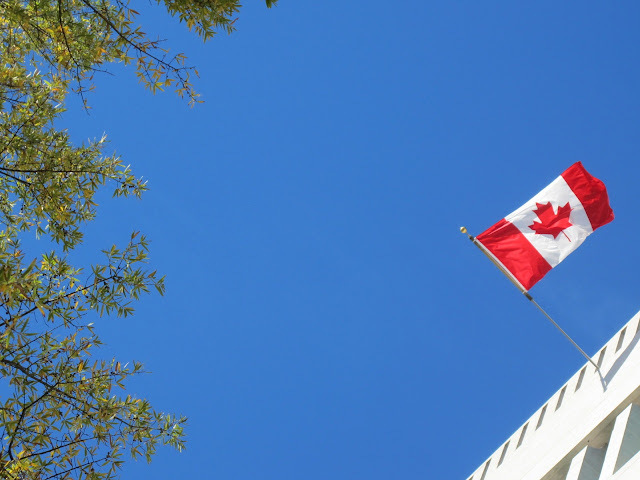 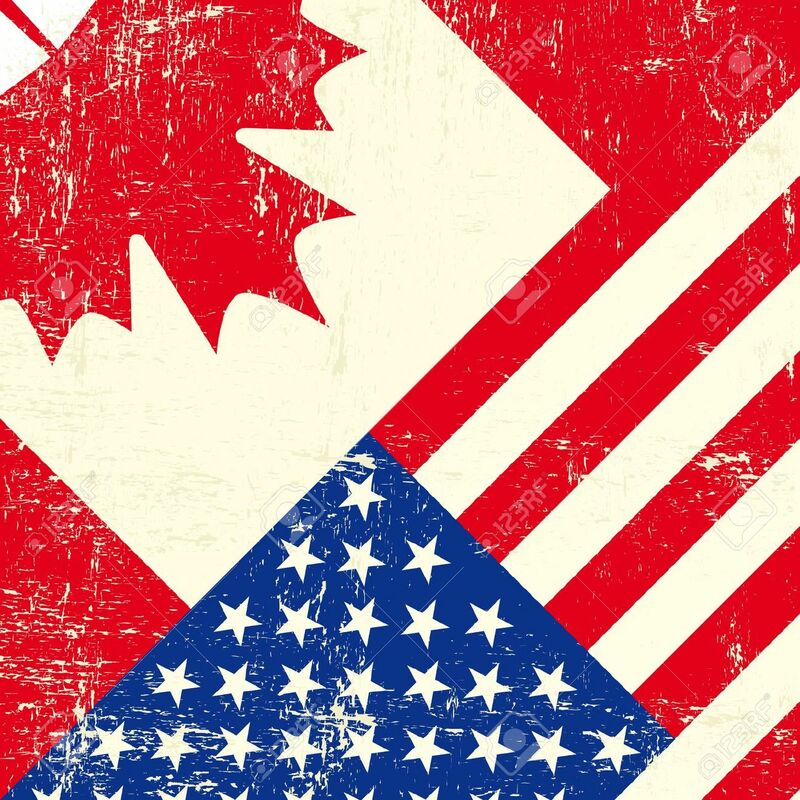 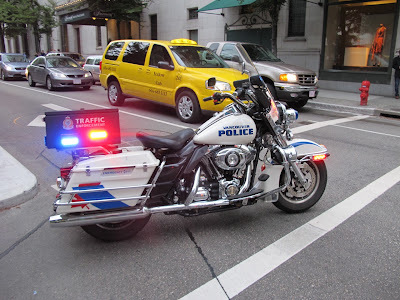 Read more in my Crosscut post. Let the celebration begin! 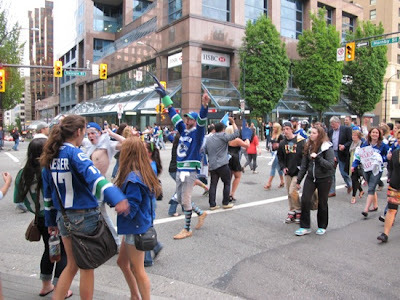 More than 100,000 people were in the streets Friday. The Vancouver Police Department was in charge of traffic and crowd control. Another sea of blue as revelers make their way down Robson to celebrate.